The Franciscan Crown Rosary is a beautiful prayer given to a friar by the Blessed Virgin Mary that became a tradition of the Franciscan Order in 1422. The Franciscan Crown Rosary is based on the Seven Joys of Mary and has 72 Hail Mary beads to signify that Mary lived to the age of 72 on Earth. 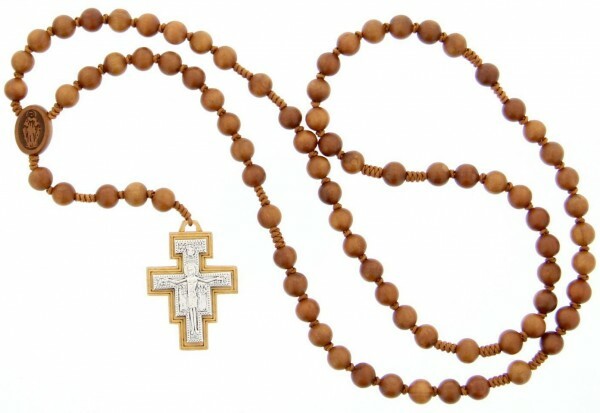 Video: Hear the Story and Pray the Franciscan Crown Rosary with Fr. Bob Warren, S.A.